Scope: During regulatory inspection of the boilers a significant amount of under insulation corrosion was suspected by the inspector due to a roof leak. Once the boilers were stripped of insulation we assisted by providing technical advice and performing UT thickness inspections on the boilers. 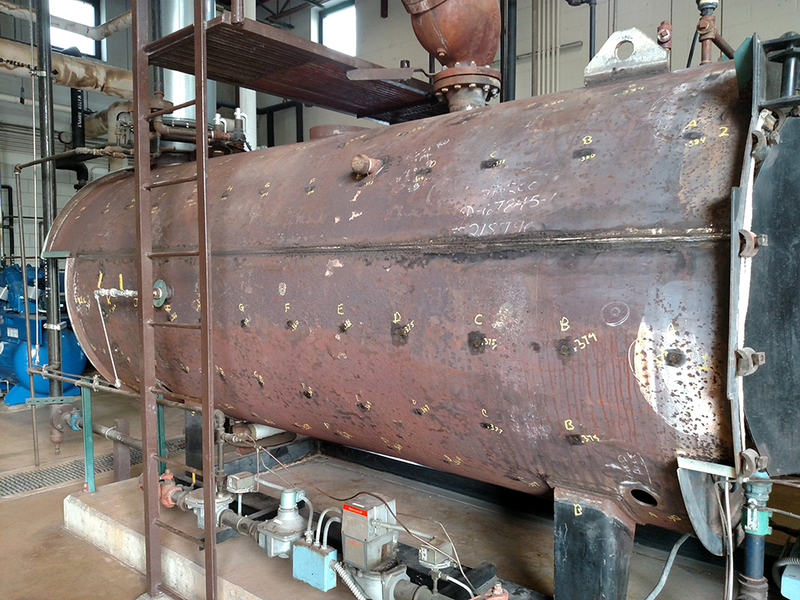 Our findings were provided to the state inspector who utilized the information to perform a formal condition assessment of the boiler. Once inspections were complete, our insulators recovered the boilers. During this project we also replaced a leaking sectional boiler used to maintain temperature in the facility's greenhouses with a new, more efficient unit. Craft(s) Utilized: Local 363 Boilermakers – Boiler and flue assembly. Local 553 Pipefitters – Boiler plumbing and tuning.